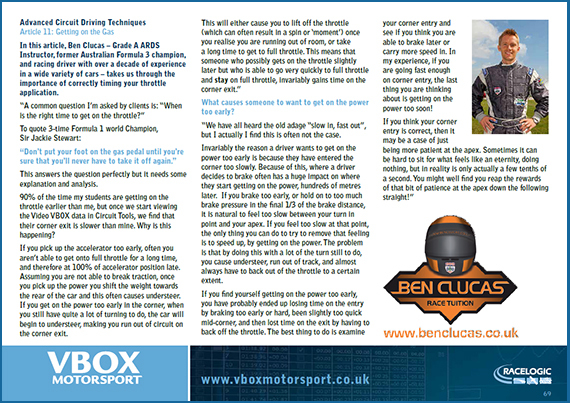 The latest Advanced Circuit Driving Techniques article features Ben Clucas, a Grade A ARDS instructor and former Australian Formula 3 champion. “Getting on the Gas” starts with this great quote from Sir Jackie Stewart: “Don’t put your foot on the gas pedal until you’re sure that you’ll never have to take it off again” and Ben gives us an insight of how best to apply this theory. Download the new chapter here.